Scott Henard brings more than 17 years of experience in finance and commercial real estate to his role as Senior Vice President and Regional Director of the Matthews™ shopping center division. Responsible for the leadership and bottom-line success of all activities in the East Region, Scott has been one of the most active principals in the retail industry. With an extensive background in the retail industry and applying his robust real estate fundamentals, Scott’s clients have achieved an abundance of success in over 300 acquisitions and dispositions totaling over $2 Billion. Scott started his career at First Allied Corporation, where he was responsible for completing over 50 transactions totaling $500M by investing the Glazer Family Trust into real estate holdings throughout the Central and Southeastern United States. Prior to joining Matthews™, Scott served as Vice President of Acquisitions at Westwood Financial (WF) for over 12 years. He was instrumental in transforming WF from a regional private company to a nationally recognized institutional company owning high-quality grocery-anchored centers. WF’s current market cap is over $1.5B with more than 6 million square-feet of retail. While at WF, he was involved in over 260 transactions totaling over $1.8B of acquisitions and dispositions. 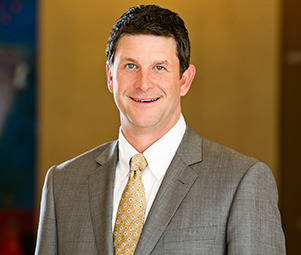 Scott spearheaded the growth and was responsible for transactions in the Central, Midwest and Southeastern regions.